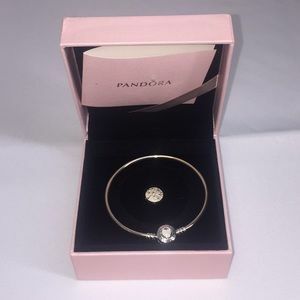 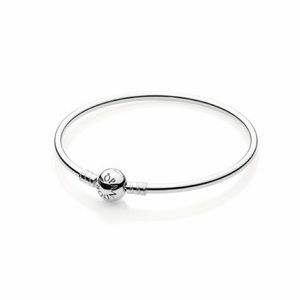 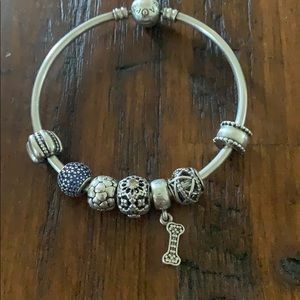 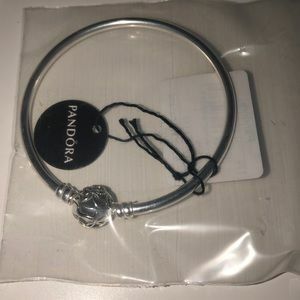 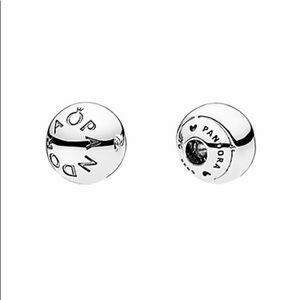 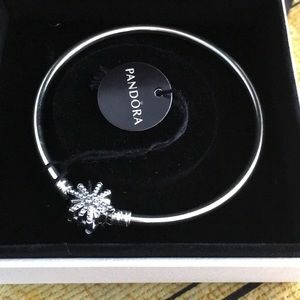 Gorgeous Pandora Bangle Bracelet with Charms! 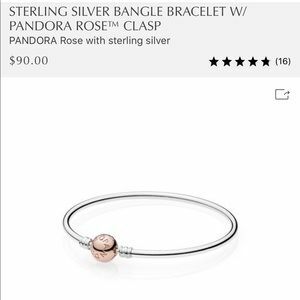 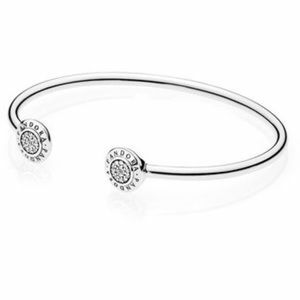 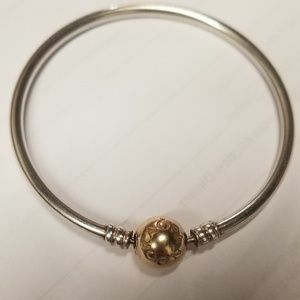 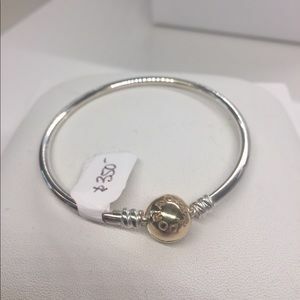 Pandora sterling silver bangle w 14 karat gold. 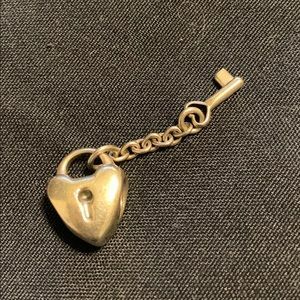 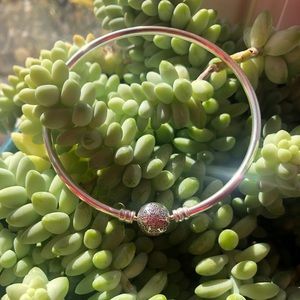 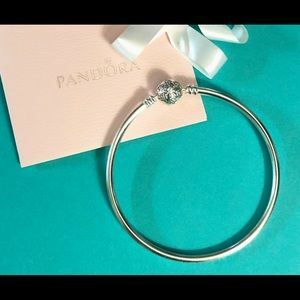 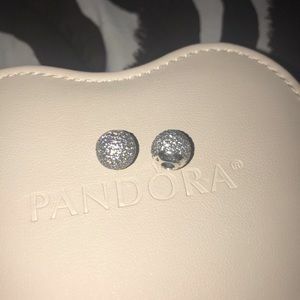 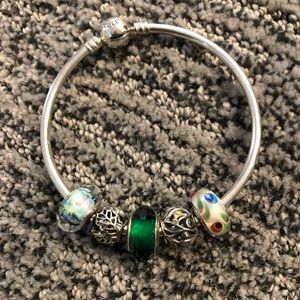 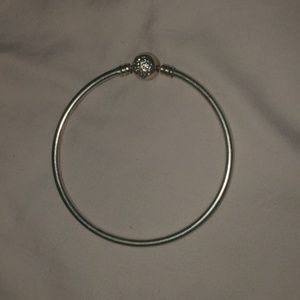 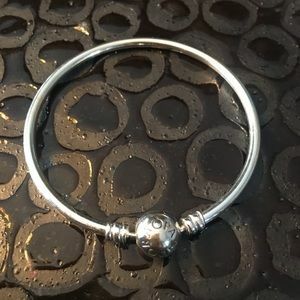 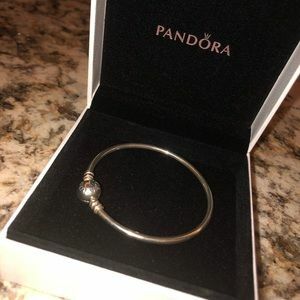 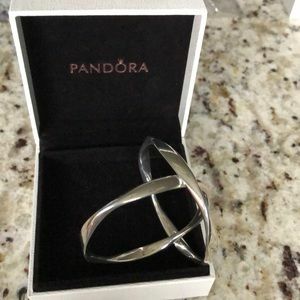 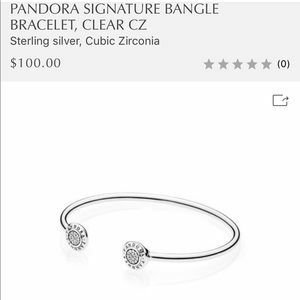 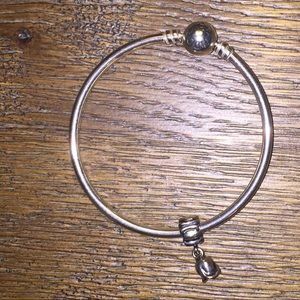 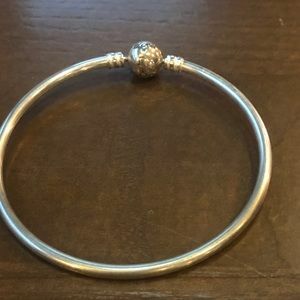 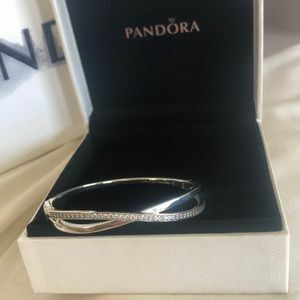 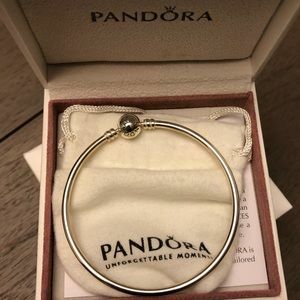 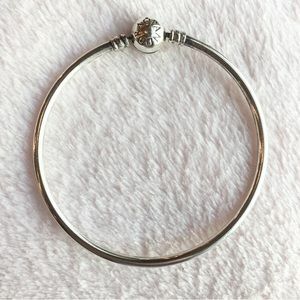 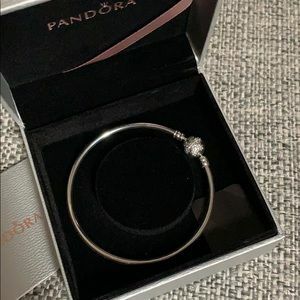 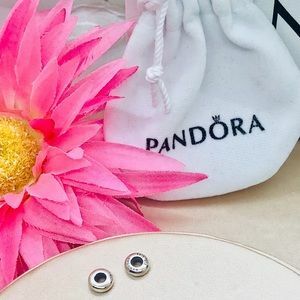 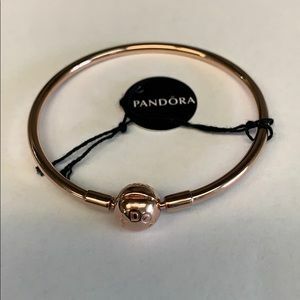 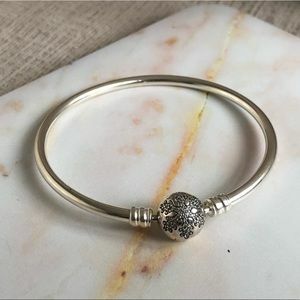 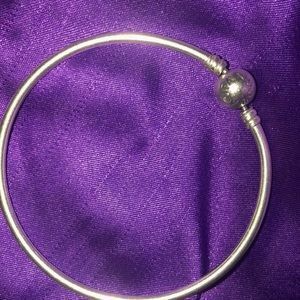 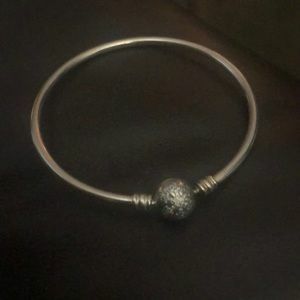 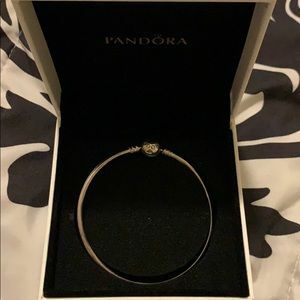 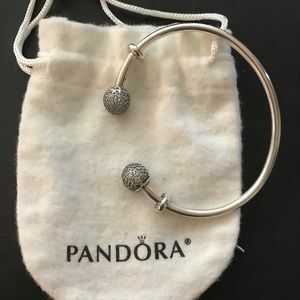 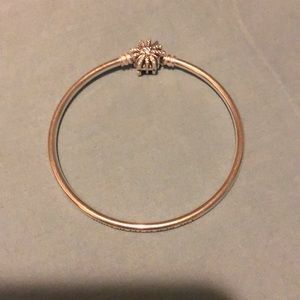 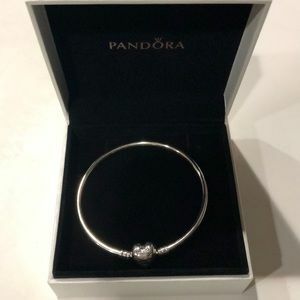 Authentic Pandora open Bangle Bracelet. 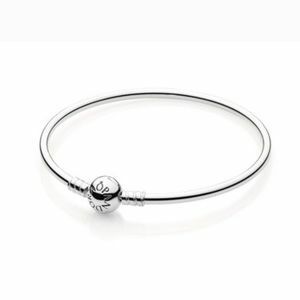 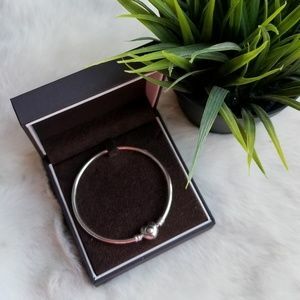 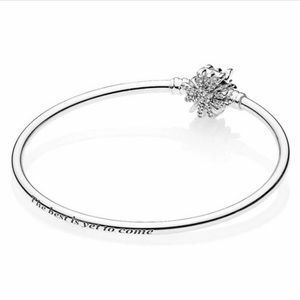 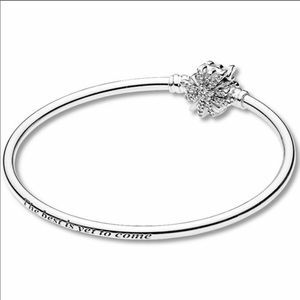 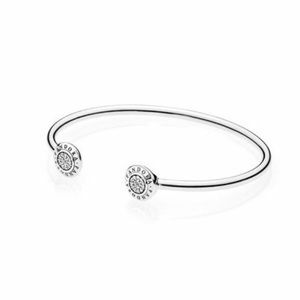 Pandora Silver Bangle - Limited Edition.